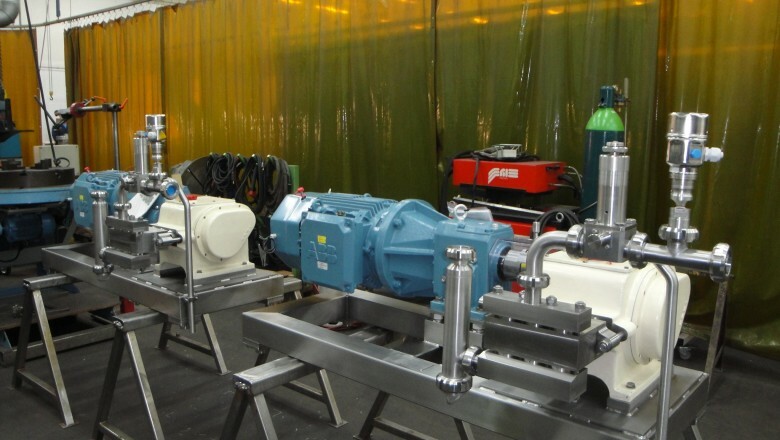 Our high pressure piston pump is designed to maintain the product flow through the process equipment. The two embodiments are designed for a capacity of, a small pump to 5500 L / hr, a large pump to 7,000 L / hr. 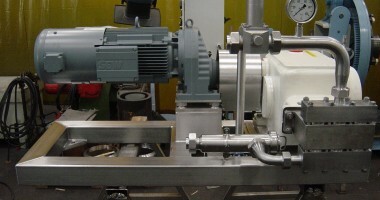 The pumps with their transmission (with inverter) are mounted on a stainless steel frame which are equipped with shock-absorbers. 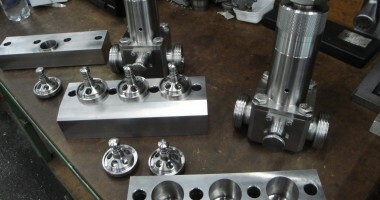 If desired, additional parts for the pump can be supplied. Such as an inline suction filter, a pressure relief valve and a pressure transmitter. If you seek more information regarding our piston pumps, please go to our contact-us page for our contact information.